I've had a number of different watches, including Rolexes, Seikos, Breitlings, and Omegas, but I've sort of settled now on Luminox Atacama Field Chronographs, which just feel exactly right to me. So I thought I'd share an image of them. Wow, John! Those are lovely watches! The furthest one on the right of the pic would look great will my All-Black shaving gear set-up! By the way, why do you prefer these to the others? (01-22-2014, 10:43 AM)celestino Wrote: Wow, John! Those are lovely watches! They just have a 'Goldilocks' feel and look for me, serious but not pretentious, solid but not clunky, attractive but not too fancy, and they keep nearly perfect time. (01-22-2014, 10:49 AM)churchilllafemme Wrote: They just have a 'Goldilocks' feel and look for me, serious but not pretentious, solid but not clunky, attractive but not too fancy, and they keep nearly perfect time. * Thanks for your views on the watches. (01-22-2014, 10:50 AM)CRAusmus Wrote: Beautiful John. Same. I had a Breitling Super Avenger for a while but sold it. Loved that watch. I'd love to get a Breiling 6.75 with Havana face and brown leather strap or Panerai. Then there is dream watches like Hublot and Audemars. I wish.. I too sold off my Rolex. I started to worry that I was just inviting someone to hit me on the head when I wore it.For me an old Timex keeps just as good time and I feel safer. 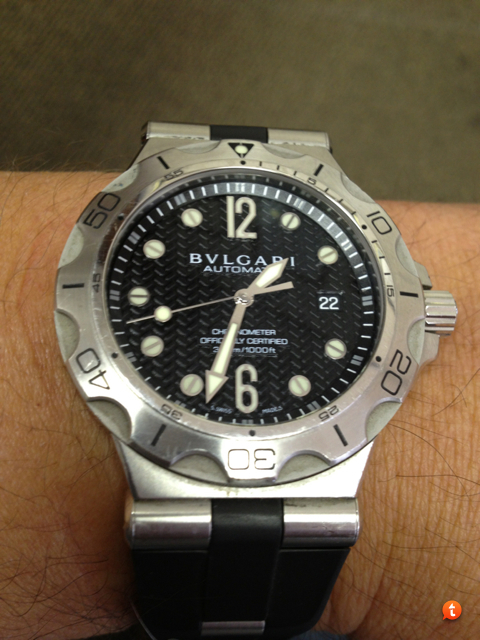 Actually, since I retired I seldom wear a watch anymore. When I was working everything I did was time dependent. Retired I am free and do not have to constantly know and keep track of time. Most days the time display on my cell phone serves my needs. 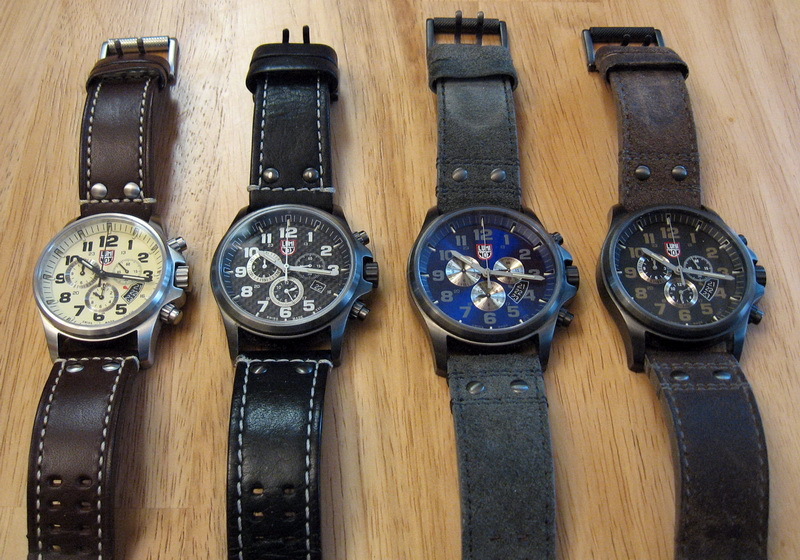 Never did have a Luminox, but those are beautiful. It's not the watch I rebel against. It's being time locked to finish my tasks. I am enjoying my time retired so much. I just don't want to be reminded of schedules. I think that's why I like Vegas so much no clocks. The first time I went to Vegas I was eating breakfast and the guy at the next table was eating a steak. We looked at each others plates and promptly both of us looked at our watches. Now who cares eat when I am hungry sleep when I am tired. Barry, I do that now, but always with a watch on. By the way, my friend from Scotland and I will be going to Las Vegas next month and even though we both wear watches and don't really gamble (we like the light, not the dark), you're right; there is something about Las Vegas where I can never remember either of us having a need to look at a watch to see what time it is. Freddy, when will you be in Vegas? My wife and I are going over Valentines day weekend (yes, I know and agree, I'm a romantic) and if you're there then, I'd love to see if I can catch up to you and have a beer with you. (01-22-2014, 11:32 AM)Barrylu Wrote: It's not the watch I rebel against. It's being time locked to finish my tasks. I am enjoying my time retired so much. I just don't want to be reminded of schedules. I think that's why I like Vegas so much no clocks. The first time I went to Vegas I was eating breakfast and the guy at the next table was eating a steak. We looked at each others plates and promptly both of us looked at our watches. Now who cares eat when I am hungry sleep when I am tired. We'll be leaving Vegas very early on Valentine's Day. I like watches but only own a $10 Casio. Given a choice I would go for a simple 60's Rolex with 15xx movement, or an early 40s Gruen Veri-Thin. 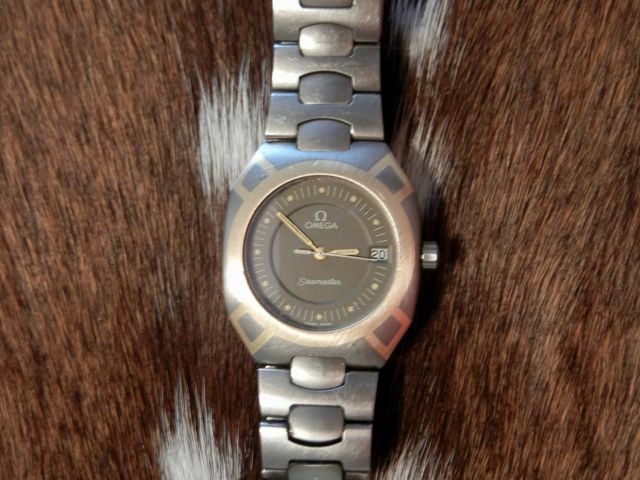 I have had my Omega Seamaster Titane since 1986. They only made the titanium and gold cases and all titanium bands for a couple of years. It is so light, you hardly know you have it on. It has over 1,000 scuba dives under its belt. (01-22-2014, 11:40 AM)freddy Wrote: Barry, I do that now, but always with a watch on. I've loved time pieces since I was a young boy, so thank you all for the photos. I don't have any exotics, myself, but my treasure is a 1912 model 992 Hamilton railroad watch that is in beautiful condition. I also have the Caravelle 17-jewel, manual-wind watch, made by Bullova, that I got for Christmas 51 years ago when I was eleven. I wore it traveling around Latin American in 1973, when I lived in South America between 1975 and 1977, and in Portugal between 1978 and 1981. I fell into the Amazon River between a couple of boats and slammed it against the hull of one of them as I went down. A couple of years later, back in the US, when I blanched at the cost of a cleaning and a new crown, the jeweler remarked that the works were worth it. I have been wearing this watch for the last couple of years in recognition of its half-century in my possession. In the case of this watch, it's the personal history that makes it dear. A problem I have when contemplating most of the new men's watches is that I am very fine boned and my wrist is only about 7" around. As such, most modern men's watches are huge. My Caravelle, made before men's watches started growing so large, is only about 33mm across.